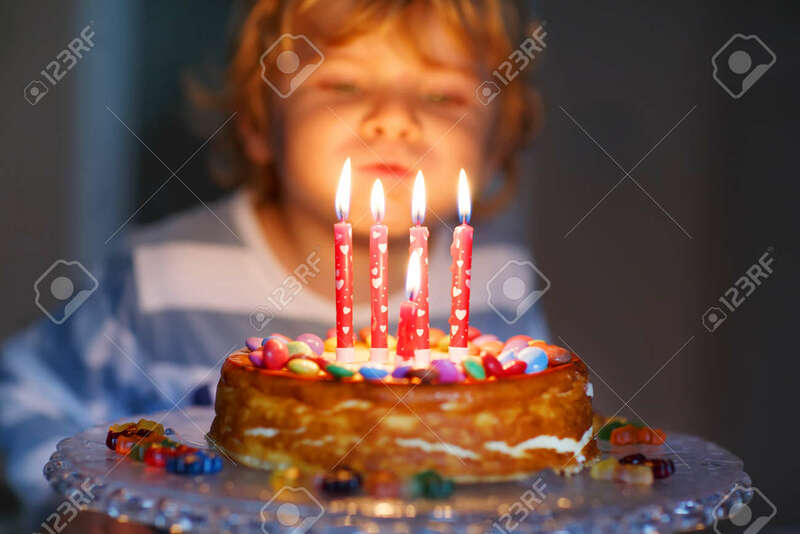 Adorable Four Year Old Kid Celebrating His Birthday And Blowing Candles On Homemade Baked Cake, Indoor. Birthday Party For Kids. Focus On Child Royalty Free Fotografie A Reklamní Fotografie. Image 38354993.